This exploration of the supernatural as a platform for women’s freedom and autonomy is the cornerstone of Häggström’s most current work. The works in this series float between the abstract and the figurative. 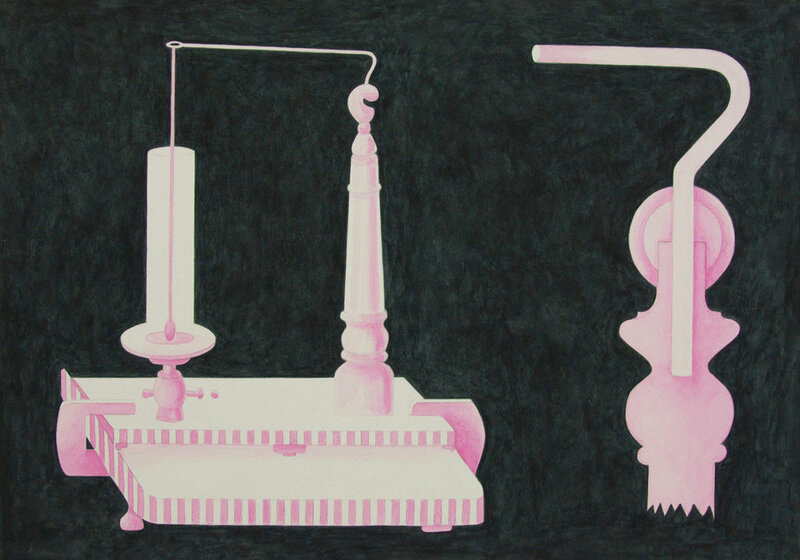 Invention depicts odd spiritual and hypnotic machines, using traces and remnants of the past to create new images and stories.